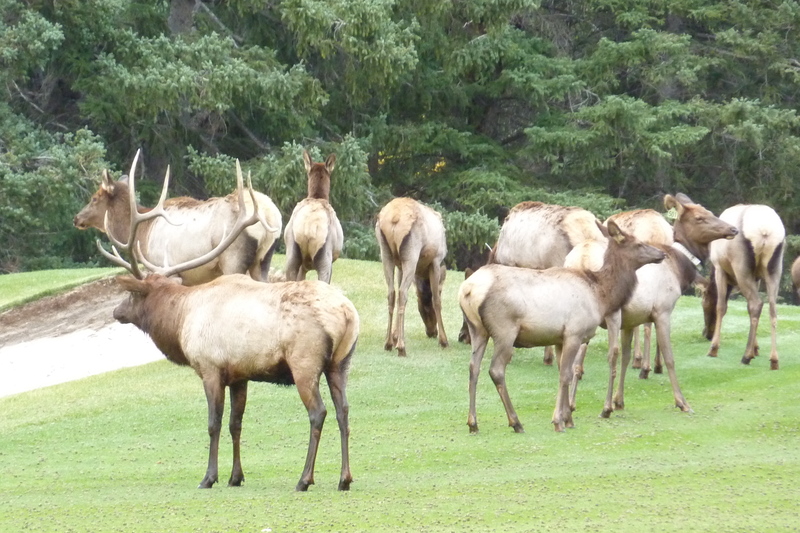 We watched some interesting action at the Banff Springs Golf Course, one of the world’s best courses in one of the world’s most beautiful settings. 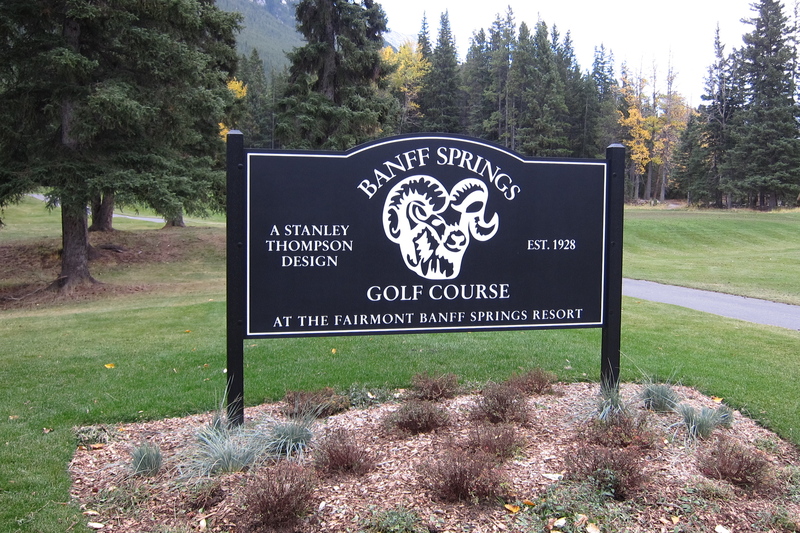 Banff Springs, Canada, one of the world’s premier golf courses! 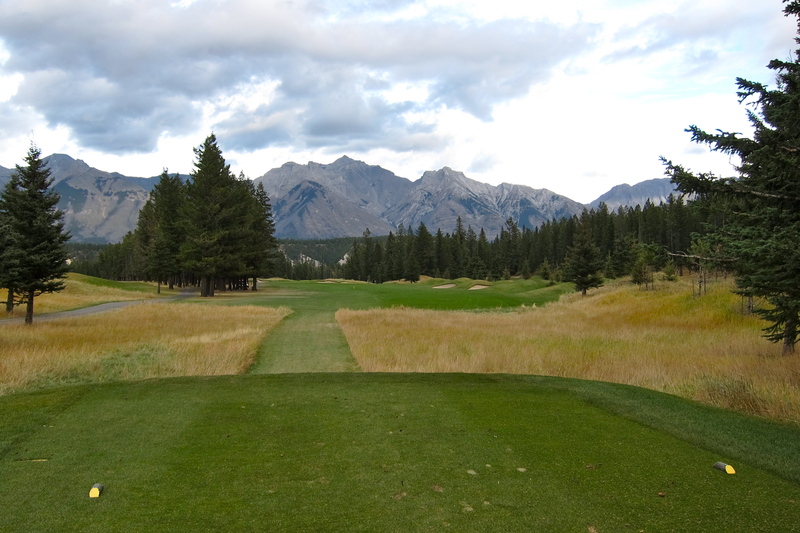 Beautiful first tee of the Banff Springs course with the Canadian Rockies in the distance on October 11. Ooh! 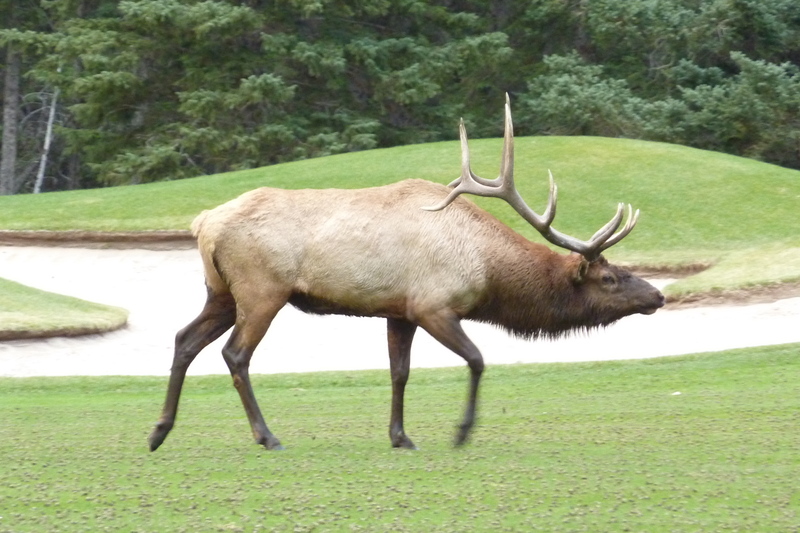 Here’s Elk-rick striding across the course. The fans go wild. Hmm, should I use an 8 or 9 to get out of this trap? Oh-oh. 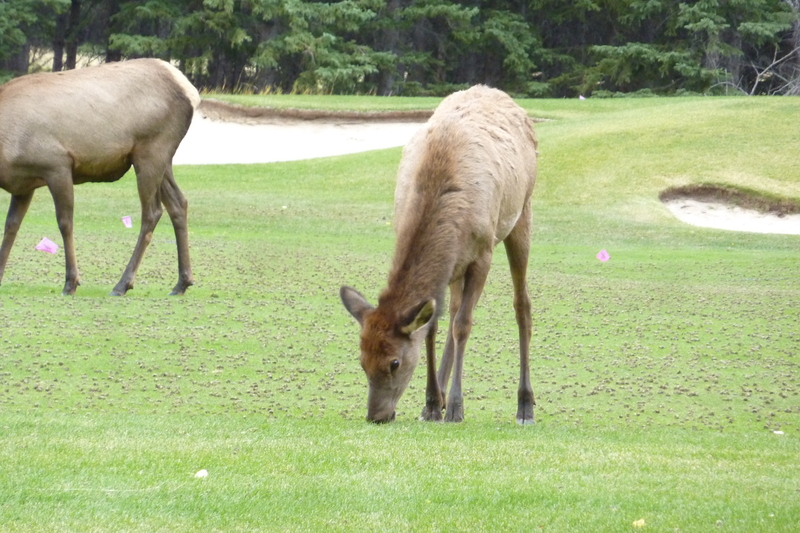 Hope Elk-rick isn’t improving his lie! Come on, guys, would ya help me look for my ball? 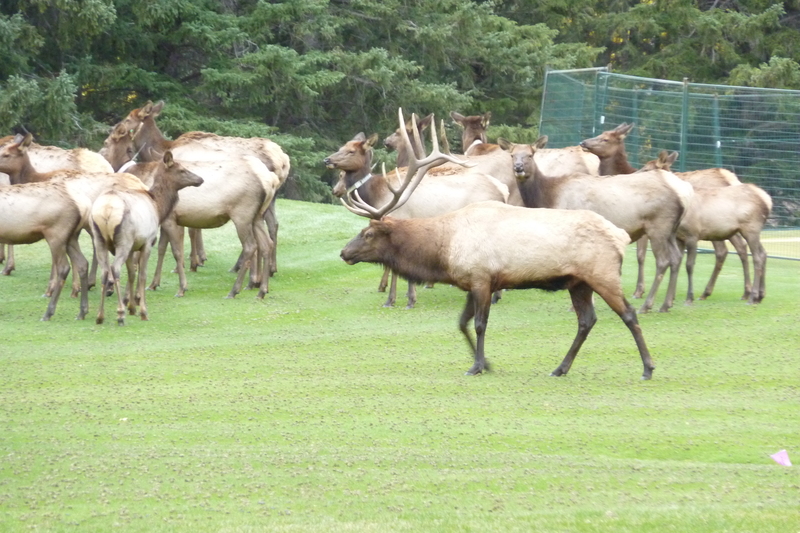 Elk-rick seems to have a bit of a ‘tude today. Oh, no! 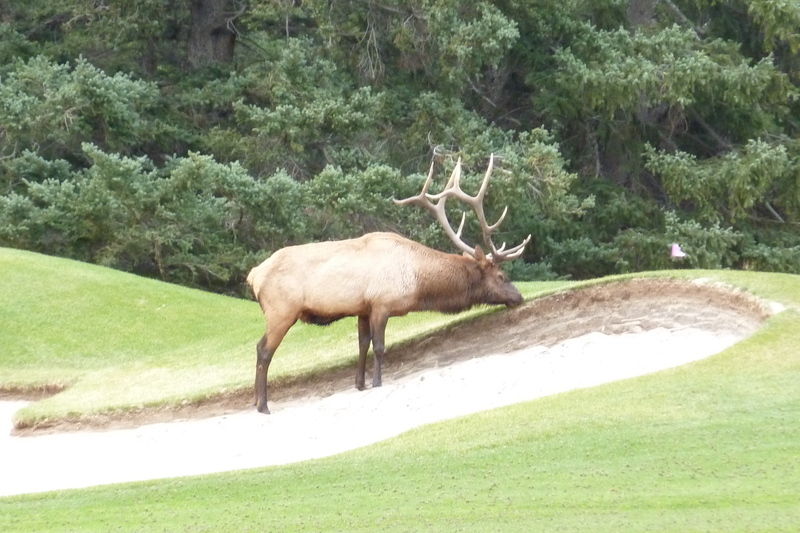 He’s running off the course in a huff! But we still love him. Right. 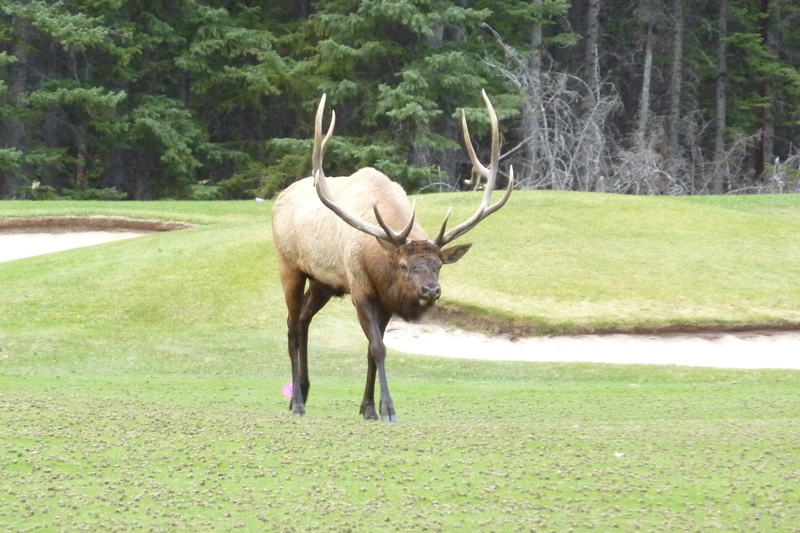 Elk-rick gets all the glory and now I have to repair all his divots! 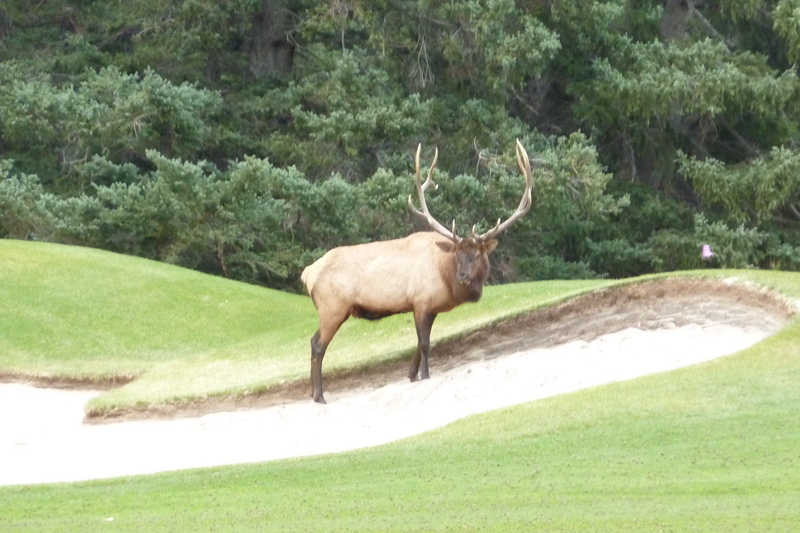 This entry was posted in Smell the Roses and tagged Banff, Banff Springs, Canada, elk, golf, Rockies, Tiger Woods. Bookmark the permalink.